You know what happens when you leave a creative mind in a car alone for too long? Like….creating a word that holds the essence of your brand! YES! Historic note: It is theorized that playwright William Shakespeare first cited from over 200 to 1500 words! Whether he was the inventor of them or not, we can’t know for sure, but he’s given credit for a BIG bunch of them. Another historic note you can use on Jeopardy some day: Author John Milton is said to have coined over 600 words still listed in the Oxford Dictionary! WOW!! I have channeled my inner Williams Shakespeare/John Milton and created a word that embodies the type books that I usually write. Those of you who follow my writing know that I’m an Appalachian girl. The Blue Ridge Mountains are my home and such a part of my heart and stories. So many of my novels have some sort of Blue Ridge Mountain or Appalachian element in them. You ALSO know that I have an obsess….um….deep interest in all things British. From England to Scotland to Wales and Ireland, I love it – cheers and all. Many of my novels reflect this infatuatio…um…interest by involving a character and/or setting of the UK. Most of my novels hold some element of culture clashing. Yes, oh yes, I love to pair two different cultures together and watch the story unfold with all of its humor, conflict, and steps-to-understanding. SUCH fun! Have you ever created a word? Do you have a brand? If you’ve read my novels, do you think the word fits? You are so clever!! We’ll need a new dictionary! 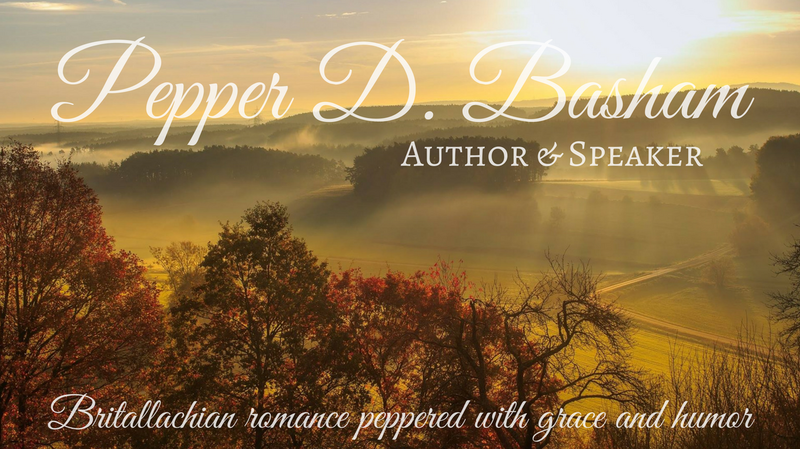 As you know Pepper, I live in the Blue Ridge Foothills of Virginia. With a couple of my ancestral lines going back into Scotland and Wales…yes, crazy or not, Britallachian is a great word! #Britallacian… I like it. My spell checker does not, but then it disagrees with half the dictionary so I’ll just override it. 😉 Does this mean when you are done with the Thorn series that your following books will continue to involve both England and Appalachia?